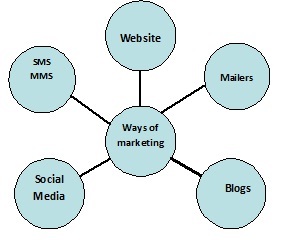 Mobile Marketing - An Emerging Opportunity | Business Article | MBA Skool-Study.Learn.Share. Gone are the days when marketing was done through door to door, word of mouth, through advertisements in newspapers and magazine or through promotions. Now with the invention of internet they can now get not only good but better results. In the present scenario, mobile marketing is done not only for promotion of brands or for an invitation for any event to the general public but also for various educational institutes. Earlier companies used to advertise their product by giving ads in newspapers and magazines which sometimes go beyond their budget, but now with the use of mobile marketing this has become very economical and assessable as now they just have to send a text message to their regular customers at the time of discounts or any other offer and can keep updating their required information to them regularly. 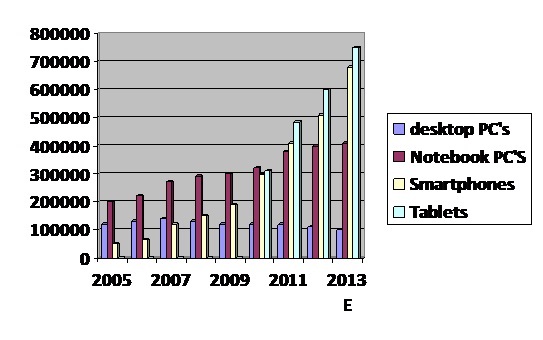 Majority of the marketers have moved their promotion strategy and advertising techniques from newspapers and magazines to mobile marketing. Why has this marketing reached great heights in a short span? The only reason is that it takes only a fraction of time to reach consumers than advertising through newspapers and magazines. It has also been found out that marketing through mobile can reach a far greater crowd based on interest, within millions of people using internet, thus all this results into more demand for the product and services and also gives positive results than another source of marketing. If you want to be found by the potential customers, then you need to be where the people are looking! Marketing through mobile phones is a great way of creating brand loyalty among the customers through personal communication. After all who doesn't want personal treatment? Looking from the company's perspective mobile marketing is very efficient and time saving. Lot of messaging sites is there on internet which allows sending multiple messages at a time. Many of the marketing experts have been of the thought that the next wave of internet marketing will be through the mobile device. In the present scenario, a very large percentage of population globally use their mobile phones as a medium for using internet for sending emails, surfing the web and engaging on social networking sites. Text messaging is an easier way to get through your customers information. This can also be done through the text campaign one can undertake, customer can just text their name to your number and can be subscribed to your mobile list. Also one more advantage of mobile marketing is that it is cost effective and environment friendly because through it there is no need to leave a paper trial. With the email marketing, the customers had to print out the coupon where as in case of texts they can just show their text to the cashier and can get the right deal. It is helpful if your restaurant is having a slow night or if the appointment is just opened up at your office. There can be a case while advertising through mails that emails keep sitting in their mail box for weeks and sometimes get deleted without being opened. According to the mobile report on content activities of the mobile subscribers of the world, A full 63% of the respondents had used text messeges during the previous year. However, it has been projected that India’s percentage will increase by 11.1% in the following year. Internet is major source of communication. Face book, twitter and LinkedIn are means of social networking these days. The impact of these sites is so high that when people complain on company's wall they get immediate reply. Even when a complain tweeted on tweeter, for a company's product or service that is resolved at earliest as the world is watching. Most of the jobs are posted on LinkedIn rather than advertisement on Newspaper. It is better for both customers as well as company. A company can have free sample of millions of people without any cost involved. There can be lot of cost cutting as online forums do not have cost incurred. It is the cheapest and most decent forum one can get for marketing. One can also target specific customers who are likely to be target audience. Online market survey through Google spread sheet and face book has been very common now. Mailers have also been major source of advertising. It seems to be more effective for the reason that the customer can relook the advertisement. It is human tendency that more you look at the same thing you tent to remember it. Also it becomes easy to get connected to the target audience. One can also post videos, as visuals catch more attention. The marketing through contest generates excitement in minds of consumer, the experience is remembered. 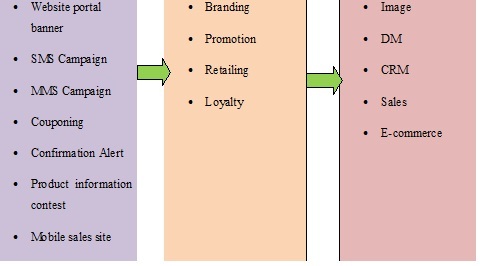 Similarly, handling the service part meticulously builds customer loyalty. It is indirect marketing. This can be done by internet banners, Videos, PPTS, product images, etc. It’s the time of mobility, and history depicts that those who do not change according to technology advancement always remain back. And something which is available with so much of ease and efficiency why not uses it! This article has been authored by Surbhi Khanna and Matri Patel from Great Lakes Institute of Management.